二锅头(èr guō tóu) in Chinese Culture! Have you ever heard about “二锅头 (èr guō tóu) ”? And, have you ever drunk it before? In china, when you talk about “二锅头 (èr guō tóu)”, people would say ” Oh, it is hot (够劲 gòu jìn)!”. If you try to drink it with your Chinese friends, they probably would be very excited because that white liquor represents a special and important custom in Chinese Culture. Chinese people always treat their guest or friends with hot Chinese liquor and persuade them to keep drinking (劝酒 quàn jiǔ ). Yes, it can be a littel bit awkward or uncomfortable sometimes. However, Chinese people have no true malicious intent but just want to treat guests warmly (热情好客rè qíng hào kè) and courteously (有礼 yoǔ lǐ ). The most well-known traditional white liquor in Beijing is 二锅头 (èr guō tóu); It made from orghums (高粱gāo liang). The most famous brand is “Red Star” èr guō tóu (红星二郭头hóng xīng èr guō tóu ). It is available in various strengths including 112 Proof, which is 56% alcohol by volume. Although over 60% alcohol it is also often blended with other spirits to produce a milder drink. 二锅头 (èr guō tóu) means “second distillation”, which indicates its level of purity. 二锅头 (èr guō tóu) can be found everywhere in Beijing, in China because its often inexpensive ,and particularly popular among blue-collar ( 蓝领 lǎn lǐng ) workers across Mandarin Speaking area. 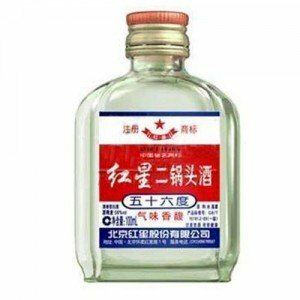 It is one of the most commonly drunk white liquor (白酒 bái jiǔ) in Beijing, and is frequently associated with Chinese traditional History and the city. I encourage you strongly to try it someday when you are in China! To utilize more spare time learning the Chinese language! Less time to use, but need to be more fluent at speak mandarin Chinese! 15-min short-time online mandarin course at Speakmandarin.com can help! It has been said that the process of learning a language is not just about grammar and phrases. More importantly, it is a tool for communication. We strongly encourage learners to develop good learning habits, such as accumulating one language point every day or trying to utilize more spare time learning the language. The new 15min short time session is a very useful course for students who want to improve oral Chinese but don’t have enough time to take more than one regular session per week. Access Anywhere Anytime from your home, your office, or even on your way to work,you can learn Chinese online easily and effectively within 15-mins! Your personal teacher will take the drill practice with you every day to make sure the your oral Chinese is kept moving day by day! Don’t be shy, let’s talk just from now on! Please find more information about this short-time Chinese course from here.